The right signage and interior decor create a welcoming environment for patient families and establish a strong first impression on young patients entering a hospital or doctor's office. A hospital campus can be intimidating. Wayfinding signage serves a practical purpose—helping your patients know where to go—but it can establish your brand. This friendly maternity theme extends out into the maternity wing parking area, guiding mothers and their young children into the hospital in a warm and welcoming way. Wayfinding signage isn't the only place to extend your youth-focused branding campaigns. 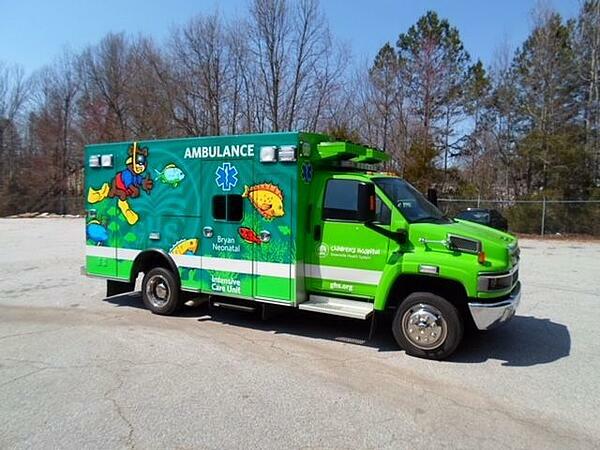 Emergency fleet vehicle graphics wraps are prime spots for creating lasting impressions and positive experiences for young patients. Brand campaigns like this can move beyond the physical environment to multichannel marketing campaigns in the form of direct mail, personalized website landing pages, social media advertising, and more. Some hospitals and healthcare systems fail to send out basic reminders for appointments, but it is one of the best ways to use your data to get young patients in for their annual checkups and visits. 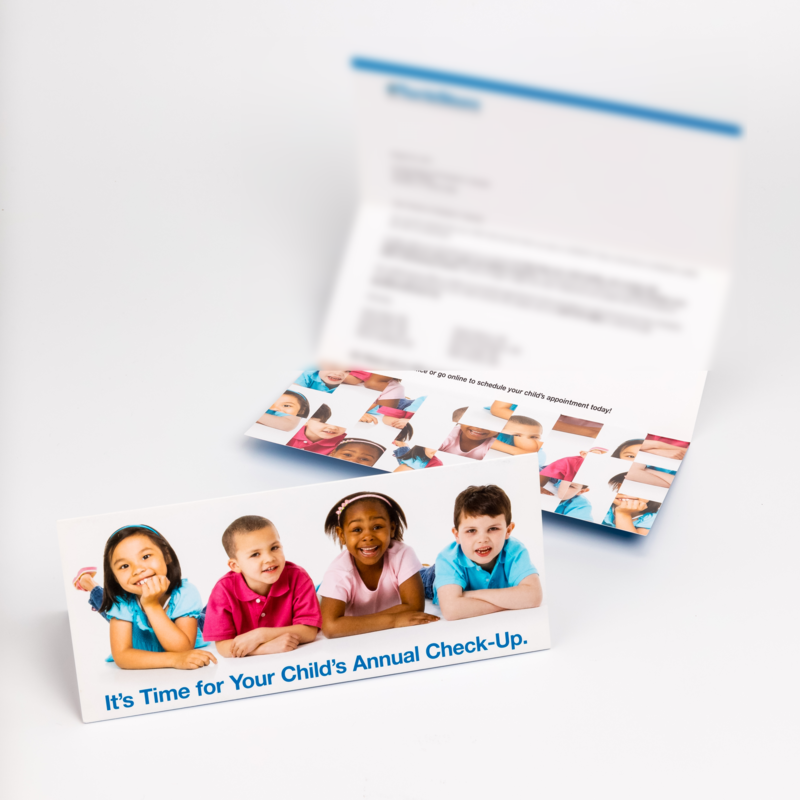 In this example, we set up automated postcard or personalized letter reminder campaigns for a savvy healthcare system. Their marketing team works with our specialists to create strategic campaigns that utilize data, automation, and robust printing capabilities. The sophisticated campaigns produce great results for this client, which keeps them coming back to us with new ideas and challenges to solve. 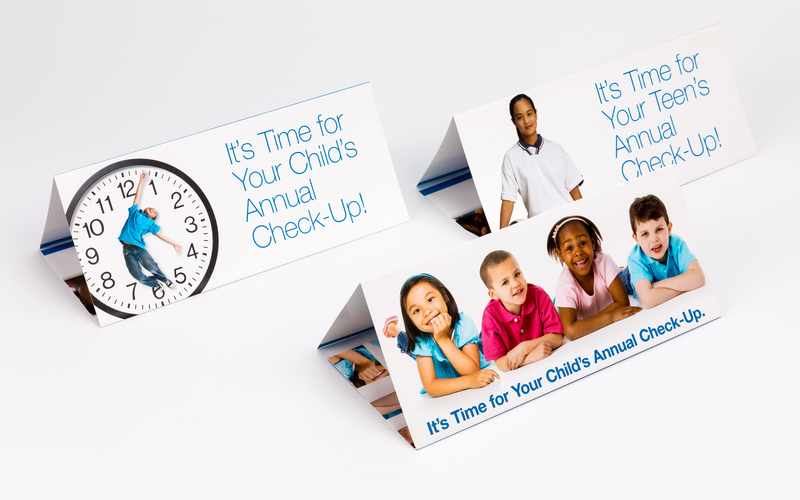 The automated postcards and direct mail letters send out well child visit reminders, and they are targeted and personalized for each patient and even segmented by age group. For example, reminders to teenagers contain a different message and visual elements than those for elementary-aged children. Using hospital data systems, we mail directly to homes and track downstream patient activity with personalized URLs (PURLs). We can also generate new patient mailing lists by profile and sort by zip code. Whether your community hospital or clinic needs fresh signage for a young-centered campaign, or you are engaged in a high-tech multichannel marketing campaign geared toward pediatric patient engagement, The Vomela Companies network of specialists can help. Contact us today.